We support missionaries and programs that help folks all over the globe. 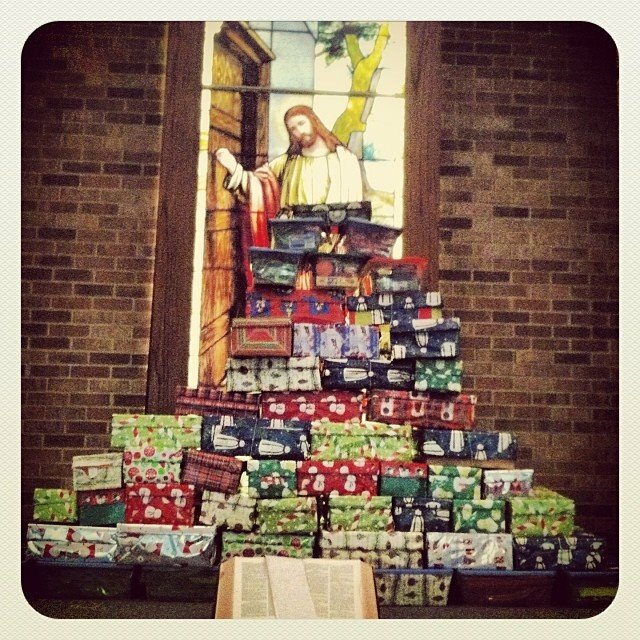 Since 1993, more than 100 million boys and girls in over 130 countries have experienced God’s love through the power of simple shoebox gifts from Operation Christmas Child. Samaritan’s Purse works with local churches and ministry partners to deliver the gifts and share the life-changing Good News of Jesus Christ. We generally pack and collect shoeboxes for Operation Christmas Child in November each year. For more information about this awesome ministry, click the picture on the left. We collect items for shoe boxes all year, but especially during the month of October. 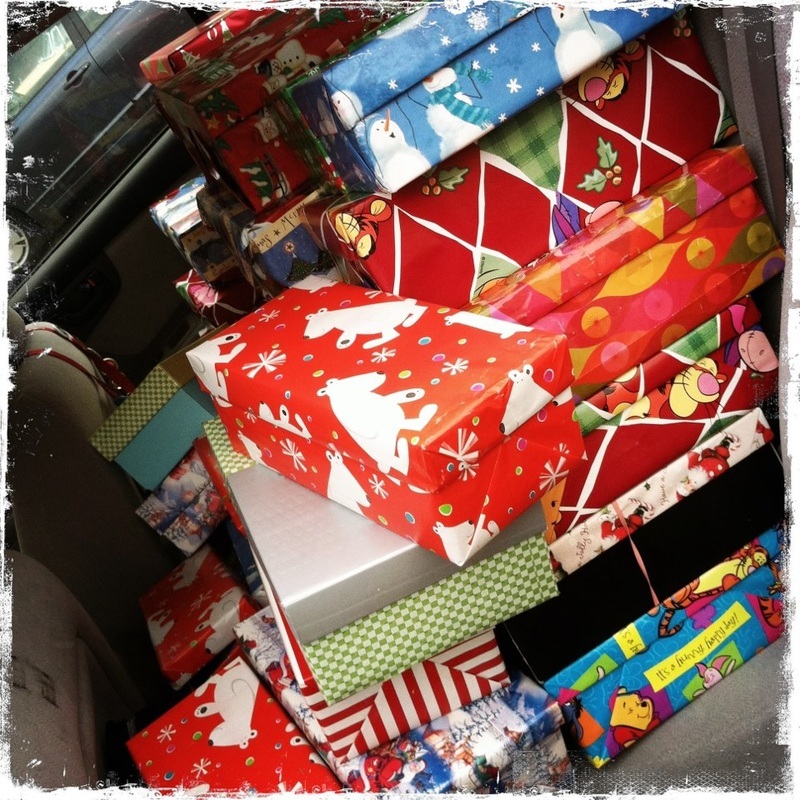 Our annual shoebox packing party is in early November.